This is the new Everton away kit 2017/18, EFC’s new alternate strip for the upcoming Premier League season. 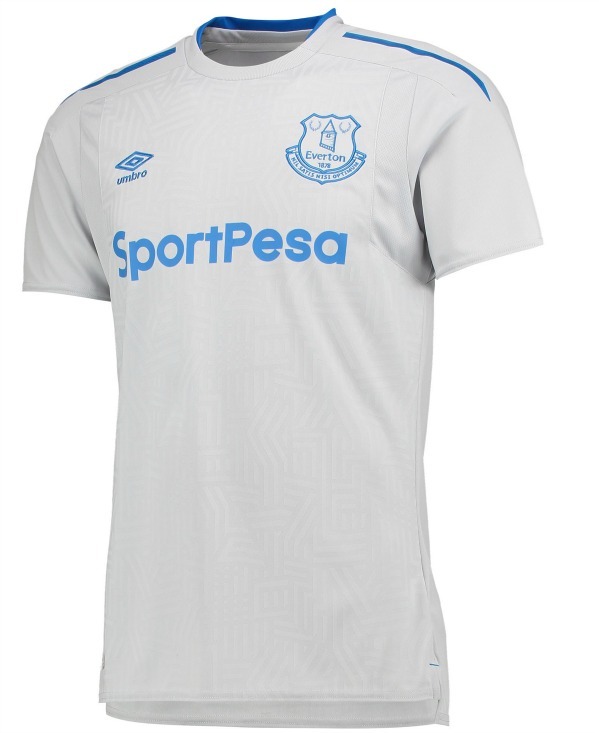 Made by Umbro, the new Everton change uniform was officially unveiled on 10 July, 2017, close to two months after the club released their new home kit. 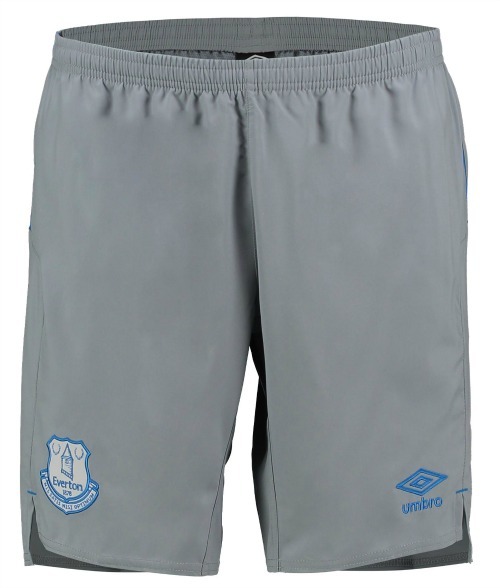 Everton will be donning a grey strip on the road next season. Like the new Hearts away top, this one also features a geometric design, but in the Toffees’ case, inspired from the tower on the club crest and the memorial gates at Goodison Park. 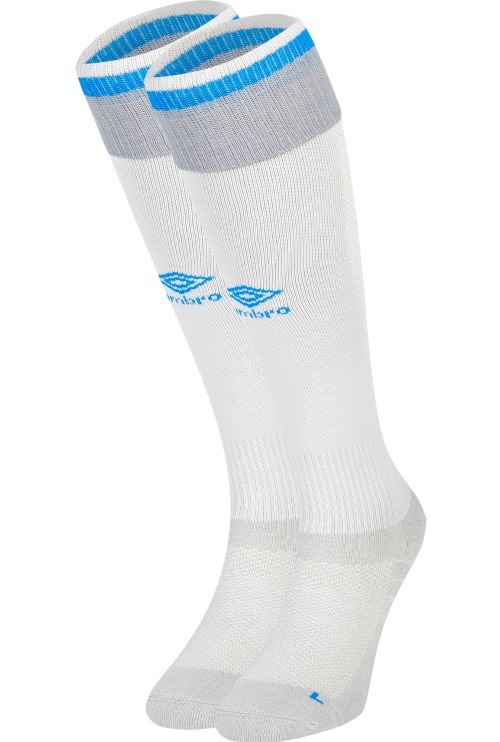 The jersey also features a slimmer version of the famous Umbro diamonds on the sleeve. 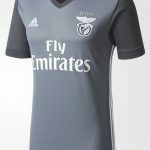 It will be paired with darker grey shorts and is sponsored by SportPesa. 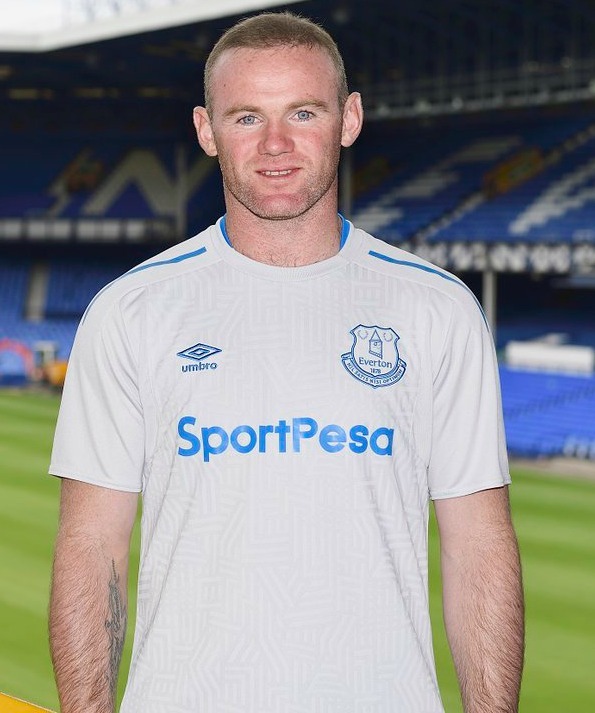 New EFC signing Wayne Rooney, who sealed his switch back to his boyhood club over the weekend, was among those who helped unveil the new kit. 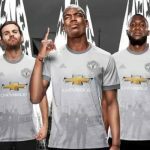 This entry was posted in English Premier League and tagged Umbro on July 10, 2017 by Football Kit News. Very nice (even if the shade of blue used makes it look like a Huddersfield kit). Rooney should get his future hair transplants off his arms. 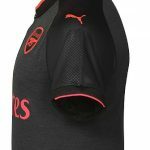 It’s a nice enough kit but what’s with the maze on the shirt? And the L at the bottom of the socks?